Travel: So you're over 40 – are you too old to go clubbing in Ibiza? PACKING to go on holiday is always a military undertaking. Packing to go on holiday in Ibiza, however, becomes a mission which would put even the most organised person to task – especially when you're a middle-aged woman facing the prospect of clubbing alongside lithe, glitter-drenched millennials and wondering if your Clarks espadrilles can really cut it on a podium. If hem length drops with age, I'm easily in midi territory; I turned 40 this year and have already toyed with laying my hot pants to rest. But a weekend on the White Isle seems as good an opportunity as any to bid those playsuits and crop tops a final farewell – and discover if it is still possible to dance until dawn two decades after I first set foot in a club. As it happens, clubbing has come a long way in that time. When I was growing up, dance music thrived in dark, underground vaults and venues; parties segued into one messy blur and my health took a real pounding. When daytime, beachside clubbing emerged in Ibiza, though, the scene became sunnier, sexier and – if I'm honest – a lot more fun. 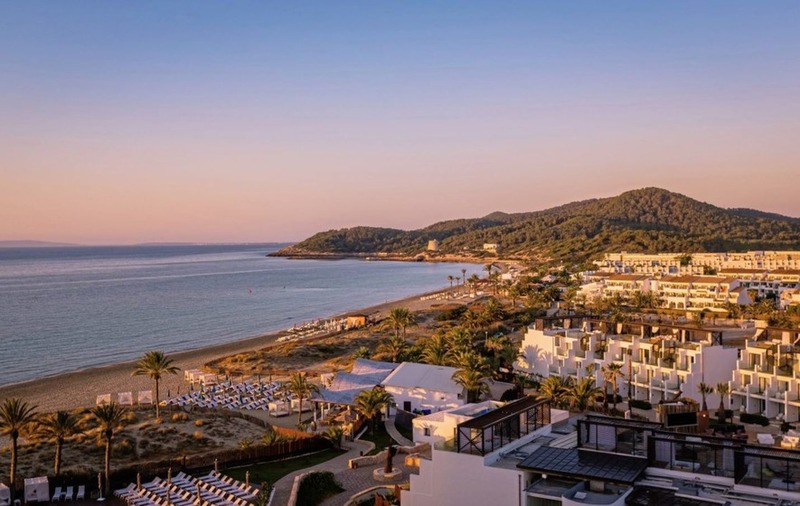 So I'm eager to join the diurnal dancefloor at Ushuaia Ibiza Beach Hotel – even if it does mean my knobbly knees and cellulite will be on full display. A stylish hotel for fans of electronic music, the property opened in 2011 on Ibiza's popular Playa d'en Bossa strip. 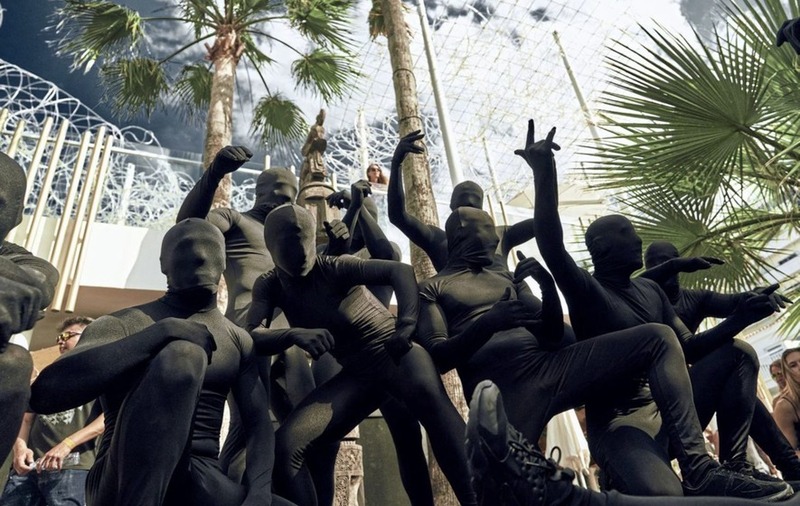 Their daytime parties initially launched in response to introduced regulations regarding noise levels and opening hours (the outdoor events are over by midnight), but have since become a fixture on every Ibiza clubber's itinerary. I've come to see ANTS play their Saturday residency, showcasing some of the best talent in deep house and techno. Flames leap from a domed stage and fireworks shower crowds thronging in multiple VIP zones, which form a central area in the hotel's Ushuaia Club section. Garden terraces (complete with artificial turf) and rooms with balconies surround the space, allowing guests to party and drink from the comfort of their own hotel rooms. But I find a comfortable perch in one of the bars, where I can people-watch, dance and drink, without having to move too far. I gawp at professional dancers vacuum-packed in hosiery as they climb to the top of towers, flinging and flailing their arms with so much vigour I fear they might snap off. Dressed head to toe in black, they look like a cross between Pulp Fiction's Gimp and Tony Hart's Morph, and their outfits leave very few lumps and bumps to the imagination. Still, no one cares. Because this is Ibiza, where – I'm discovering – anything goes. One German spectator captures the scene perfectly: "This place is full of peculiar people... doing some very peculiar things." I meet some of those offbeat characters when we head to Hi Ibiza later that night, once the ANTS party has come to a close. Powered by great music and a few E21 gin and tonics (ouch – but this is Ibiza! ), I have enough energy to tackle the club which Ushuaia took over from legendary outfit Space. Tonight's event is Glitterbox, an explosion of soul, disco, house – and a lot of sparkle. "Daaaarling," squeals a glamorous transgender dancer. Inside the club, there are more beautiful people. We weave through corridors spilling into rooms pounding with music, but I find my happy place – somewhat oddly – in the toilets, where Hi Ibiza has ingeniously set up DJ decks. In Wild Corner, dancers punch the air and shake their (almost perfect) booties between sinks, urinals and wall-to-wall cubicles – all of which are kept immaculately clean. The mood is uplifting and, if nothing else, the set-up means you can bust a move without busting for fear of missing out on a rousing tune. By 6am, I'm still on the dancefloor, while revellers half my age have already gone home to bed. 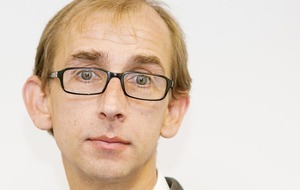 I never imagined I'd still be standing by dawn, and I certainly never imagined I'd be spending six hours in the loos. I'm staying in the The Ushuaia Tower, which neighbours The Ushuaia Club, where there's ample opportunity to slumber poolside or sleep-in between clubbing sessions. It's so comfortable, one man in the room opposite me stumbles bleary-eyed from his bedroom and admits he's missed his flight. Accidental or intentional, it's a common occurrence in Ibiza. One thing you wouldn't want to miss though, is the hotel's Unexpected Breakfast – a funfair of smoothies served from carts, Iberian ham carved at a counter and a carousel of cakes and ice creams. The notion clubbers don't like to eat is a fallacy. I'm starving after my night in the bathroom, and the food offerings at Ushuaia mean I don't have to venture far all day; along with a steakhouse, there's a sushi restaurant and an oyster and caviar bar on site. It's easy to see how Ibiza-goers fall in love not only the White Isle but also with Ushuaia. Branded memorabilia is stocked in the lobby and bedrooms. Embodying a grown-up style of clubbing, the club and hotel complex is an ideal place for older dance music fans to regain their mojo. I certainly found mine and I'm pleased to say the hot pants served me well. Yes, my bits might wobble a little more now I'm older, but as my digits stack up, quite frankly, I'm starting to care even less. Superior Double Rooms (The Club) at Ushuaia Ibiza Beach Hotel (theushuaiaexperience.com) are priced from €193.20 with breakfast, based on two sharing.